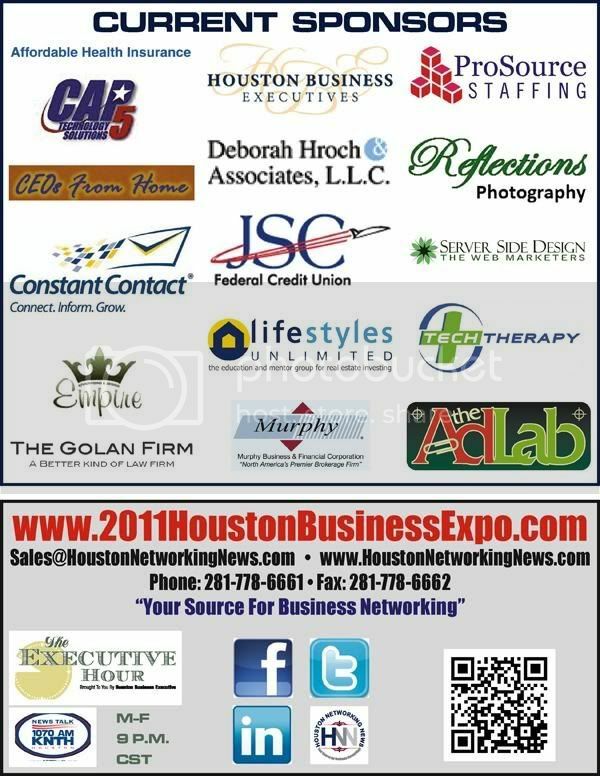 2010 Houston Business Expo Set to be Best Ever! Get Involved! 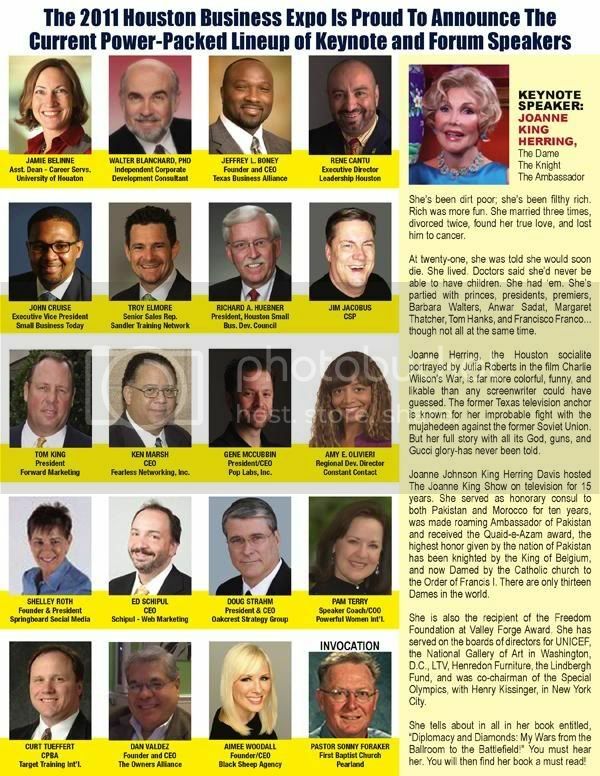 Sponsor - we still have some sponsorships available and this is an excellent way to get your company's name out to the Greater Houston community. 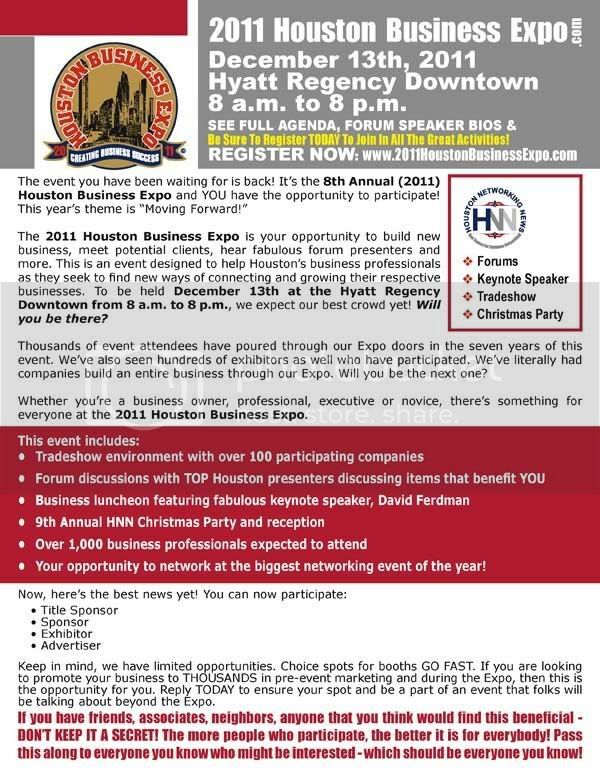 You may want to be the Title, Luncheon or Christmas Party Sponsor. Contact us to learn more about these opportunities and more. Exhibit - booths are going fast, but we still have a couple undiscovered gems left. Fill out information at the Expo website and we will provide a booth to your liking! Advertise in the Expo Program. Click here to learn more about this opportunity. 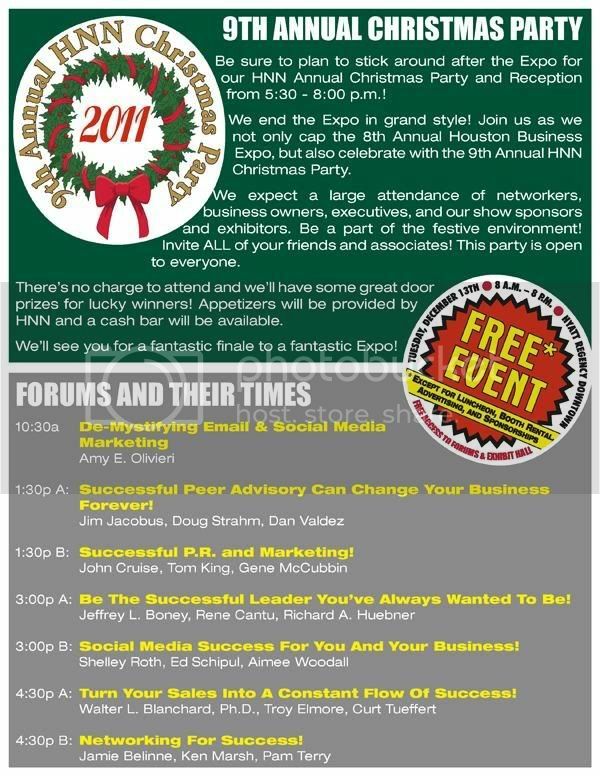 Put marketing materials in the Expo attendee bags.Click here to learn more. Attend the keynote luncheon. The fabulous Joanne King Herring will keep you on the edge of your seat during her great presentation. Attend the Expo. Click here to register. Please share this information with your friends and colleagues.